> Create connections that change the world, become an ArtLink sponsor today! Create connections that change the world, become an ArtLink sponsor today! Creating connections that change the world starts with you…and it’s an honor to have you as part of our team. Thank you for joining us to help bring global understanding to thousands of students! With your help, we are able to engage underserved communities, empower youth, and build critical partnerships through the exchange of arts and ideas between communities in the U.S.A and around the world. Students are heading back to the classroom, and we are embarking on our 27th year of ArtLink. As in years past, we can’t do it alone – we need you to sponsor an ArtLink classroom in Bridgeport, CT and other underserved schools. 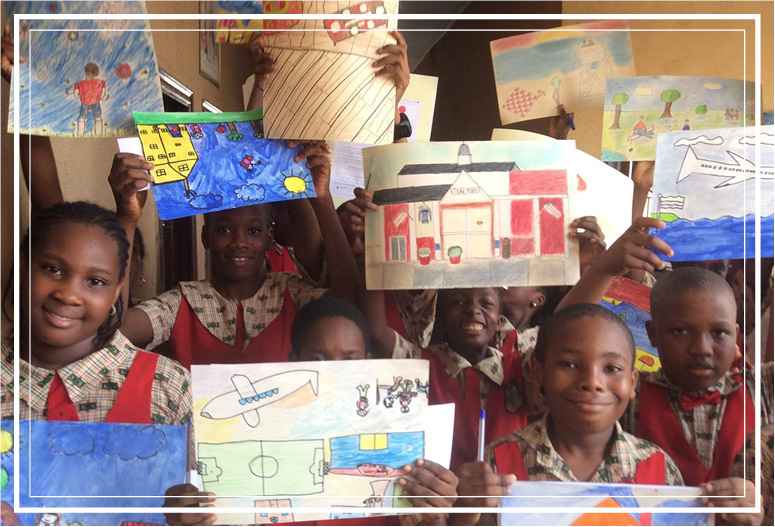 By becoming an ArtLink sponsor, your gift of $1,000, will impact hundreds of children. We thank you for being a part of our team and considering an ArtLink sponsorship with a gift of $1,000. Please connect with Polly Loughran, ArtLink Program Director, at Ploughran@CreativeConnections.org. Your gift is invaluable as we strive to prepare our students to be citizens of the world.